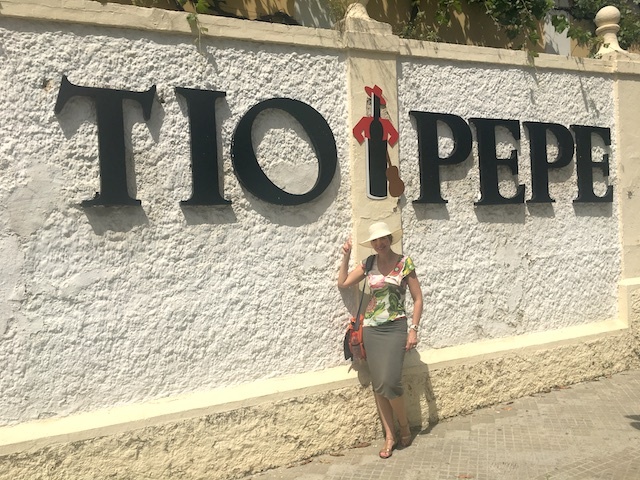 If you love Sherry (Jerez) you have certainly tried at some point some Fino made by Bodegas Tío Pepe. But you should also definitely go visit this beautiful and historic winery located in Jerez (Andalusia). Jerez is one of the three cities making part of the ‘Triangle of Jerez’ concentrating the world Sherry production. The other two are Puerto de Santa María and Sanlúcar de Barrameda where you can also find high-quality Sherry wineries. Bodegas Tío Pepe was founded in 1835 by Manuel María González Ángel who worked on creating a Fino Sherry named after his uncle ‘Tío Pepe’. As the company started growing, the Sherry was exported to Great Britain and González Ángel signed a partnership with agent Robert Blake Byass and how is the company González-Byass was born. In 2010 Bodegas Tio Pepe celebrated its 175th anniversary and was awarded the prize of the Best Winery in the world by the International Wine and Spirit Competition. Ready to start the visit at Bodegas Tío Pepe! In 1869 Gustave Eiffel, the world-famous French engineer, designed the Real Bodega de la Concha, one of the several wineries that one can see at Bodegas Tío Pepe. It was built in honour of Queen Isabel II who visited the premises in 1962. 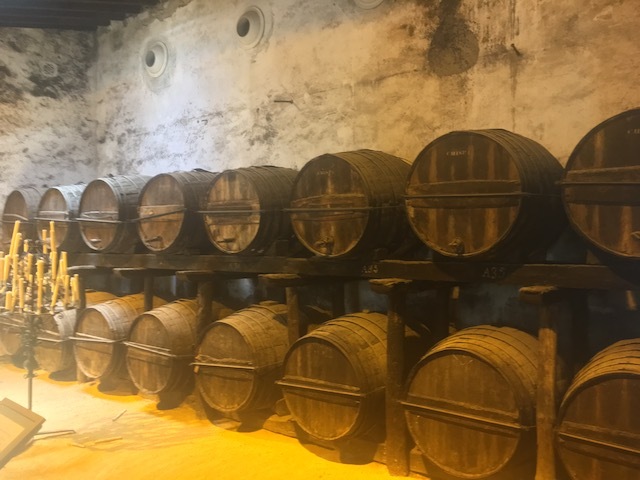 It contains 214 casks where Sherry Amontillado La Concha ages and 115 of them exhibit the flags of countries where Gonzalez Byass exports its wines. We started the visit with a tour in a cosy train around the premises. We also visited the different ‘Bodegas’ (cellars) including the Real Bodega de la Concha. Our guide explained historic facts about the winery and also described the winemaking process for the different kinds of Sherry: Fino, Oloroso, Amontillado, Palo Cortado and Pedro Ximénez. The darkness of the several Bodegas where the wine is kept in ‘Soleras’ and ‘Criaderas’ for the ageing process, contrasts with the brightness of the sun and the blue sky in Jerez where summers are generally very hot! Visiting Bodegas Tío Pepe in Jerez is going back in time to the 19th Century when the city was the wine capital of the world and is also a beautiful reminder of the mix of cultures historically present in the Andalusia region where the ‘Mudejar’ art (a meeting point between Christianity and the Islam) played a fundamental role. Antonio Flores has been working as the oenologist of Bodegas Tio Pepe since 1980. He has been awarded twice (2009 and 2016) with the Prize of ‘Best Winemaker of Fortified Wines of the World’ by the International Wine Challenge. His extraordinary work of wine classification within the cellars at Bodegas Tio Pepe and his decisive contribution to recover and promote Sherry gems such as the Finos Palmas Collection and Tío Pepe in Rama have ensured his worldwide recognition as a mythic winemaker! Tío Pepe dressed in his hat and red jacket with his guitar has become one of the national symbols in Spain. One can admire the giant bottle-man at the winery in Jerez and also as a neon sign in Puerta del Sol in Madrid. In 1935 Luis Pérez Solero dressed the bottle with a short red jacket and a hat, creating the logo which is nowadays very popular around the world. From 10th to 18th August 2018, the Tio Pepe Festival will take place in the city of Jerez showcasing the best of the gastronomic scene in Spain. Michelin-star Chefs will cook special menus paired with different kinds of Sherries. Each evening there will be concerts of renowned Spanish singers and musicians followed by wine and food pairing experiences. For the entire programme, click here. 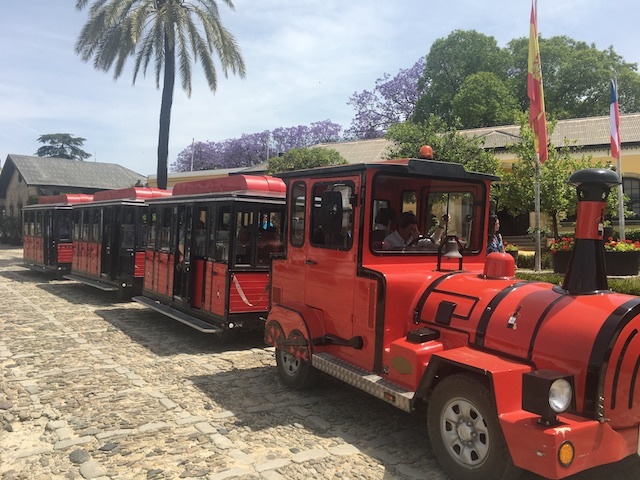 If you have found this article interesting and would like to make a trip to Jerez (Cádiz, Andalusia) to discover a bit more about the Sherry world, stunning wineries, wonderful gastronomy and breathtaking landscapes you can contact us for a Spanish wine tour!